It is estimated that every smartphone now uses some aspect of the MIPI standards. Last year, one billion phones, and about 6 to 7 billion phone ICs, included a MIPI interface of some sort. MIPI interfaces, especially for cameras and displays, have spread beyond the mobile world into other markets, such as automotive, industrial, medical, the IoT and the digital home/office. 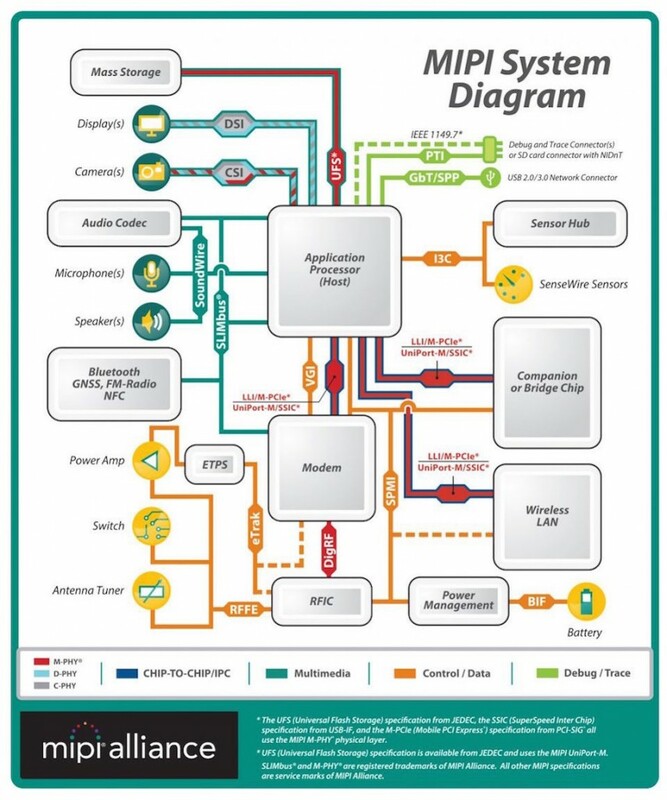 MIPI interfaces make it easier to design complex smartphone SoCs. However, verifying that they are working correctly provides little differentiating value for the end product. The challenge for design and verification teams, therefore, is to implement robust verification environments for MIPI-based designs as efficiently as possible. Developing in-house verification IP (VIP) and test-benches can be costly and time-consuming, especially if they are to exercise the complex traffic patterns, corner cases, errors and exceptions of the more advanced MIPI interfaces. This strategy also puts the verification team at risk of false or missed failures, from poorly implemented or maintained VIP, and may limit VIP reusability from the block to the SoC level. It may be better to acquire MIPI VIP and testbenches from a commercial provider that can offer a common look, feel, and use model for all VIP and test-benches and so reduce the time it takes the verification team to learn their use. Users of such VIP should also benefit from the fact the VIP has been tried out in multiple contexts and so will model the MIPI protocols, corner cases and error states comprehensively. Commercial VIP is also likely to have been optimized for performance on multiple simulators, and may be delivered with various debug aids. 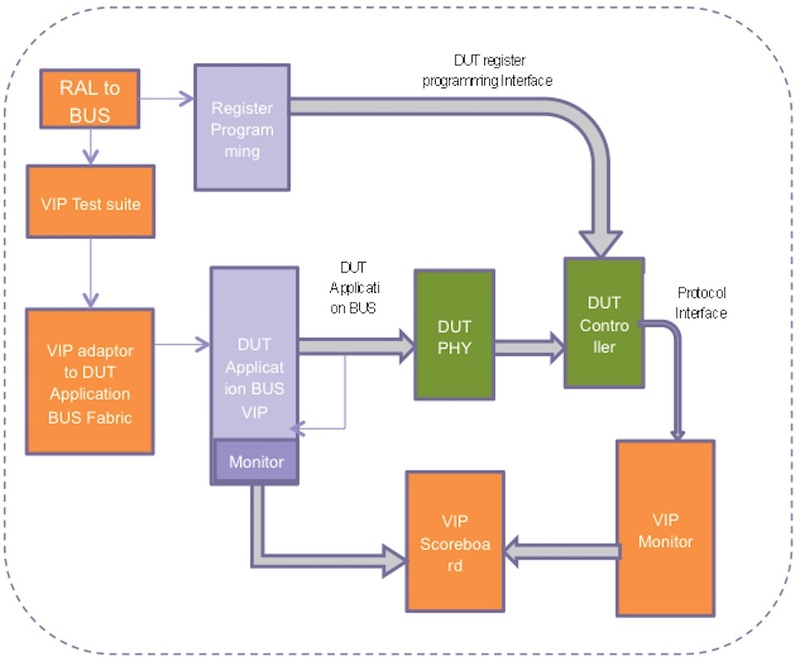 You can learn more about how these common elements recur throughout a suite of MIPI VIP and test-benches, and the way in which more complex MIPI protocols build on lower-level blocks in this article. There are a lot of common factors in these approaches to verifying MIPI interfaces. IP blocks need to be exercised with a robust set of protocol checks, corner cases, error injection and functional-coverage models to ensure that they comply with the protocols. The VIP and related testbenches need to be kept up-to-date with rapidly evolving specifications and bug fixes. And the verification needs to be rigorous, especially for lower-level blocks such as the PHYs, because more complex interfaces such as UFS rely on them. Synopsys offers a comprehensive portfolio of VIP for MIPI interfaces, and application using MIPI interfaces, which meets these criteria and offers a common user experience. The portfolio supports the latest versions of the MIPI specifications, and offers comprehensive test suites with functional coverage models, with protocol-aware debug to reduce debug turnaround time. Finally, the VIP blocks are written in SystemVerilog for use on a wide range of simulators. You can learn more about our comprehensive support for MIPI titles at VC Verification IP for MIPI. This post is filed under Audio, Interface Subsystems, Methodology, MIPI, Mobile SoC, UFS.